Sam Raimi’s 10-episode television followup to the cult horror classic The Evil Dead has a trailer and it is 3 minutes of over the top gore and one-liners; everything you were hoping for. I was trying to figure out a way to work in a ‘Booooooom stick’ joke here somewhere. Bruce Campbell won’t be alone either, Lucy Lawless will also star in the show reuniting the two actors from their Xena days. Can’t wait! 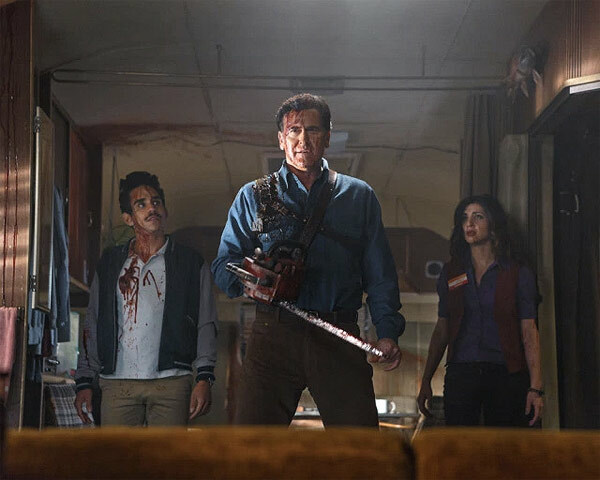 Watch the trailer for Ash vs Evil Dead below, and this sorta goes without saying but a warning for those unfamiliar – it is violent.